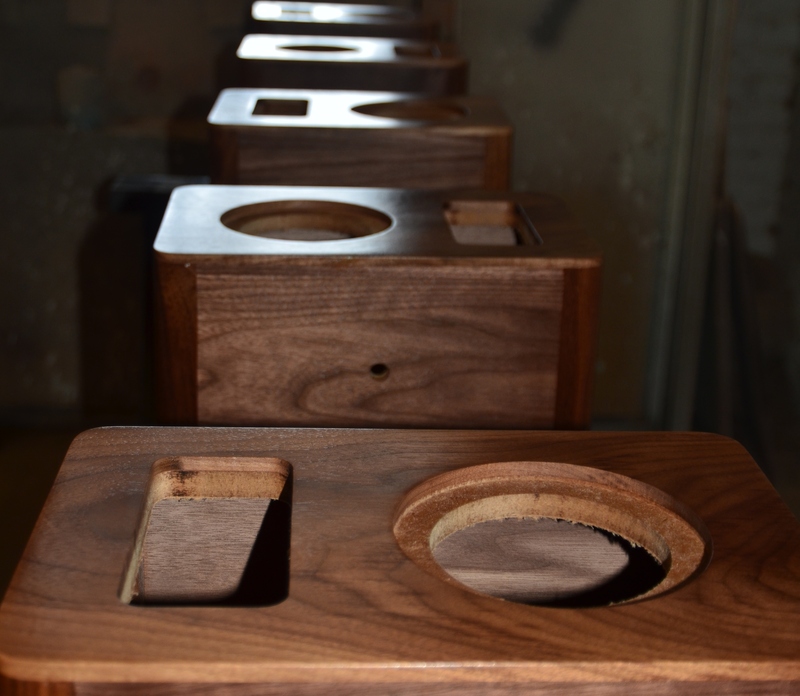 Resonant Woods can provide you with custom fabrication and assembly of wood products for your corporation. 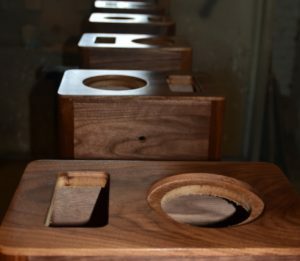 Presently we provide high quality, low volume, manufacture and finishing for three speaker manufacturers. Products outside of the audio industry are also welcome. Resonant Woods also works with a high end flooring manufacturer, providing close registration pattern flooring. Providing prototype engineering and low volume production is our key offering. We can assist you in taking a difficult to manufacture product to a design that is ready for production. Design and construction abilities include light machining and the ability to work with materials well beyond wood. Please contact us to discuss what we can do for you. Resonant Woods has a dedicated facility to assemble and test electronic assemblies and components. Resonant Woods Principal, Brooks Tanner, has more than 25 years in the electronic industry. His background includes sonar / nautical instrument design, test equipment design, and data storage design (optical (laser) and magnetic (hard drive and tape) computer storage). Please contact us for additional information of our capabilities.